Samsung becomes the first device to compile and successfully deploy the upcoming August 2017 Security Patch update even before Google. We have seen only a few occurrences like this before when OnePlus released the May Security update on the 1st of May and later Google deployed it around 9th. This can only mean one thing for all the Samsung users. The August update shall be released sooner than expected with Galaxy S8 and S8 Plus being the first ones to receive them. Google is planning to release the same with a stable Android O version. 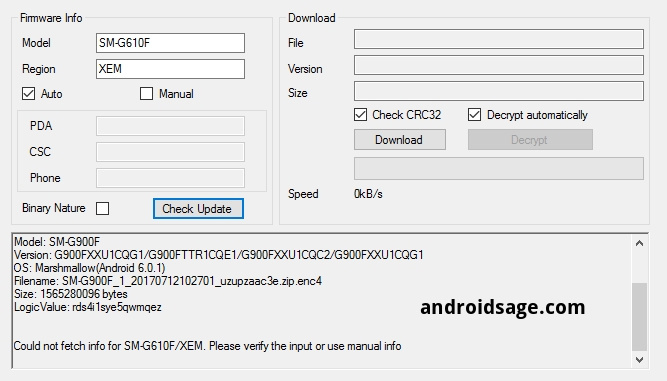 Now for the August security patch, it comes to only the latest smartphone Samsung Galaxy J7 Prime with firmware build G610FDXU1AQG2 (Baseband version). Korean smartphone manufacturer Samsung is well known for dropping regular updates for all its devices. We have seen the July security update for all the phones S Series, J Series, A Series, and even the C series. Be it is a ROM update or security patch update, starting from the low end or mid ranged to high-end flagships, all Samsung devices stay updated. Read: First Android 7.1.1 Nougat build from Samsung now available for download. Samsung Galaxy J7 Prime was launched back September 2016. It runs on Android Marshmallow and three days into August, Samsung rolled out latest security patch with build number G610FDXU1AQG2. Though it is based on Marshmallow, we can see similar update for Nougat. What’s New With August 2017 Security update from Samsung? This August security update for Samsung Galaxy J7 Prime is coming as an OTA update.So it will take some time to reach your device. Apart from getting the update as OTA, you can also update manually using Odin Tool. Make sure your device’s Battery is full. The update is sized at 300 MB. So better use WiFi to download. Androidsage authors won’t be responsible for anything that may occurs during the update/install process. Alternatively, there is another way to install this update. And that we will be doing using SamFirm tool which is directly from Samsung servers. Just click and follow the link below to install the update. Therefore, now you know how to download and install August security update for Samsung Galaxy J7 Prime.There are 3 methods to download. First, start out by downloading the firmware. Click the link below to download it. Step-1 Start by downloading the firmware from the above link. Step-3 Extract the Odin and firmware Files to your PC. Step-4 Follow our tutorial on How To Update Firmware Manually Using Odin Tool. Follow the link. And follow all the steps carefully and you will install the update in no time. Try any of the methods and grab your device’s latest security update ASAP. How to Download OTA Updates on Samsung phones? Getting the update as OTA is just as simple as ever. Step-2 Go to Settings > Software updates > Download System updates. Step-3 Check for system updates. Step-4 If the update is available for your device you will be asked permission to download.then just follow the instructions. Step-5 Just comply and then follow the instructions on the screen of your device. Next as mentioned above you can also manually perform the update and install the security patch.